Whether ​the cooler weather is approaching and you're ready for a seasonal flavor or you just can't get enough maple syrup in your life, this maple butter recipe is sure to delight. Once prepared, the maple butter is great on everything from toast to muffins... and just about anything else you can think of! There are two ways to make what is known as maple butter. In the recipe below, butter is mixed with maple syrup. In the traditional way, pure maple syrup is heated, cooled, and then stirred to produce a butter-like texture. Both are delicious, and it's worth it to try both methods. Mix butter and syrup with an electric mixer until both are thoroughly incorporated. Refrigerate butter mixture until it needs to be used. Maple butter is also known as maple cream or maple spread. Some people make it by heating the syrup above boiling and then letting it cool. Next, it is stirred for about a half hour until it becomes smooth and develops into a butter-like consistency. In this case, it does not actually contain butter. Typically, Grade A Light Amber syrup is used to make this form of maple butter. Sometimes maple butter is mixed with actual butter to make a flavored butter. When that's done, the ratio of butter to syrup is 2:1 as is the case in the recipe above. Both types of maple butter may have cinnamon added for extra flavor. They have the consistency of peanut butter, which makes for an ideal spread on just about anything! Pure maple syrup is derived from sap that is in sugar maple, black maple, and red maple trees. The sap rises from the trees in late winter or early spring. When holes are drilled into the trunk and sap is collected, it is then heated to produce the leftover concentrated syrup. Sugarbush or Sugarwood farms are places where the maple syrup is made. The sap is boiled at what's known as a sugar shack or sugar shanty. 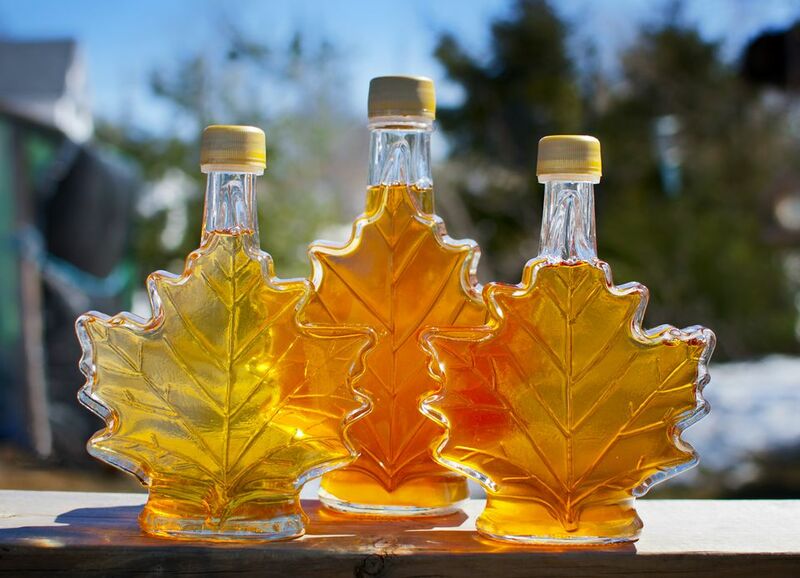 Canada and the U.S. have scales to grade types of pure maple syrup based on translucency or density. It is mostly comprised of sucrose sugar. American syrups have to be made almost completely from maple sap and labeled as "maple." Individual states have additional standards for syrup grading.